Dinsmore opened its Denver office in 2014. 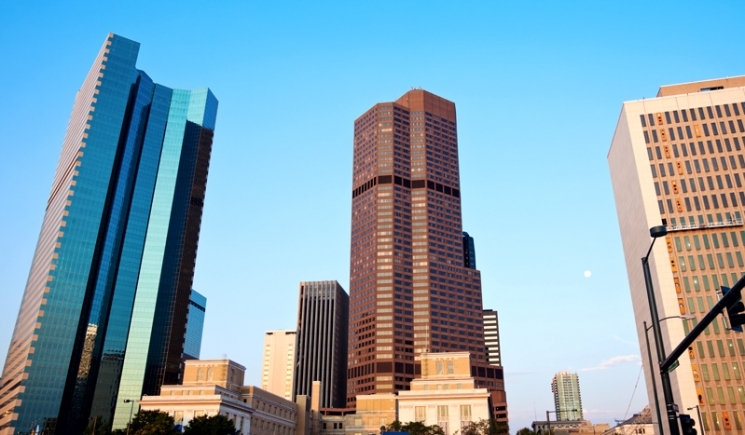 Denver is a connection point for some of the country’s major transportation systems and served as the starting point for a number of large corporations. The city is also a major cultural hub between the West Coast and Chicago. Our attorneys are equipped to counsel clients in and around the region from various industries on legal matters such as commercial litigation, commercial and public finance, intellectual property matters, general corporate, and natural resources. Parking is available in either the Denver Financial Center Garage or Wells Fargo Center Parking. Should those lots be full, additional parking is located at Broe Parking Garage or Republic Parking on Sherman St.